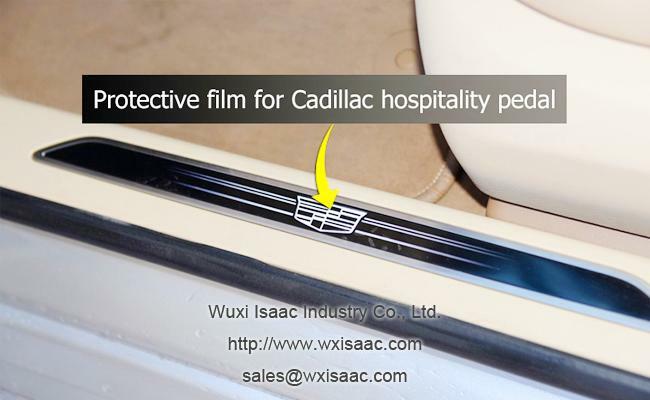 This protective film is designed for protecting Cadillac door sill protector, which is made with etching stainless steel. 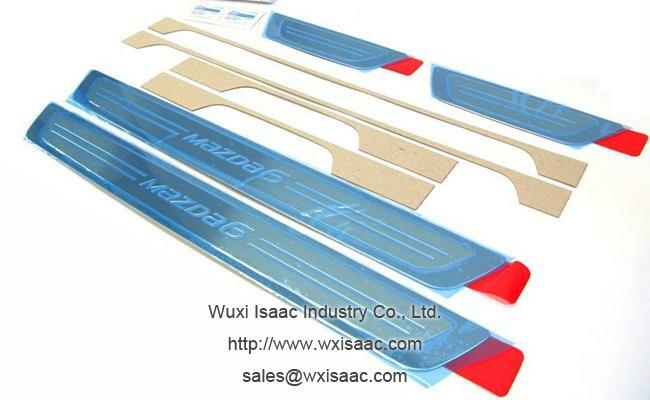 The scuff plate manufacturers use it for temporary protection during delivery and car production and assembly period. 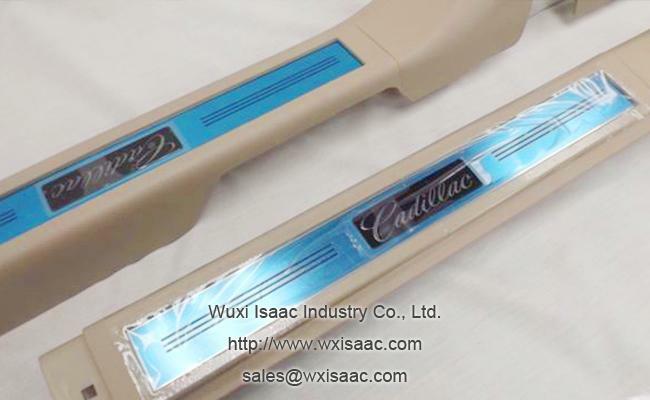 It keeps the etching stainless steel scuff plate in perfect condition. 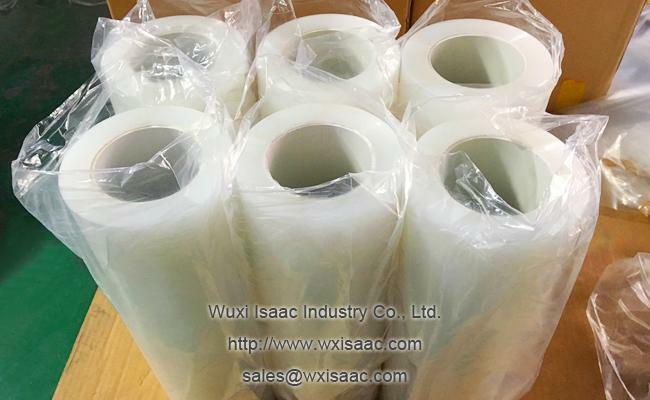 During all processing, operation, transportation and installation, protective film is a protective barrier that prevents environmental damage while avoids scratches, dust, cracks and etc. 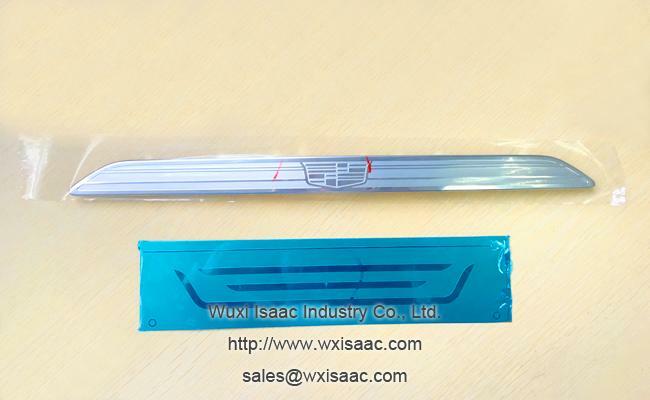 This protective film is inert to protected etching stainless steel door sill protector. 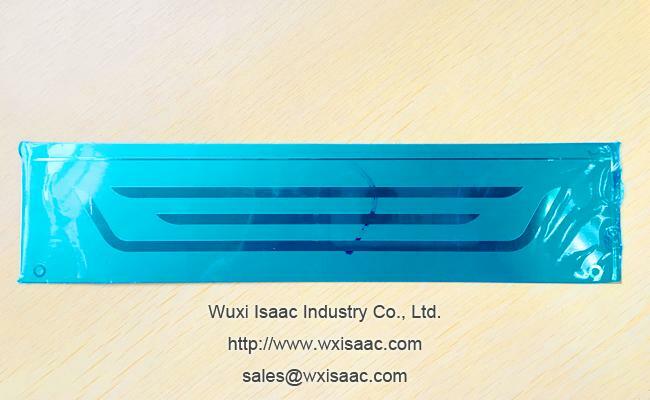 This protective film has good adhesion property to the protected etching stainless steel scuff plate. 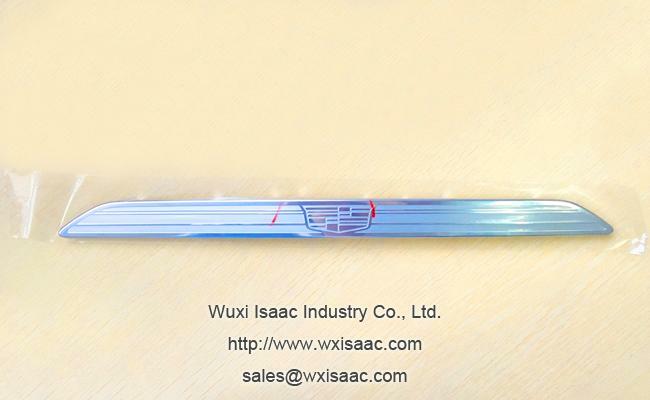 Protective film will not lift or fall off during material handling and processes. 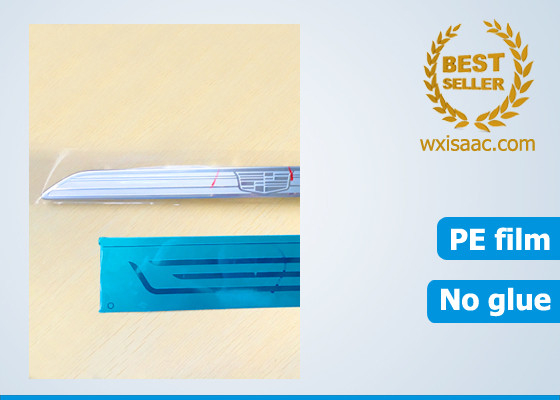 This protective film has good weather resistance and good stability of adhesion. Peeling strength increasing is not significant even the film has been left on the scuff plate for long time. Easy to peel. 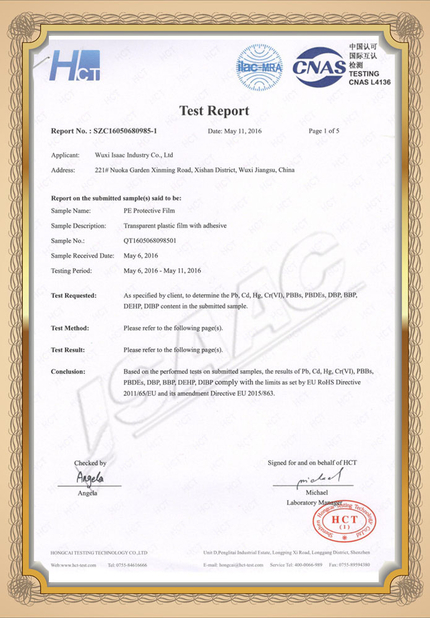 There will be no glue residue or dark shadow after removal because this film is without glue coating at all. 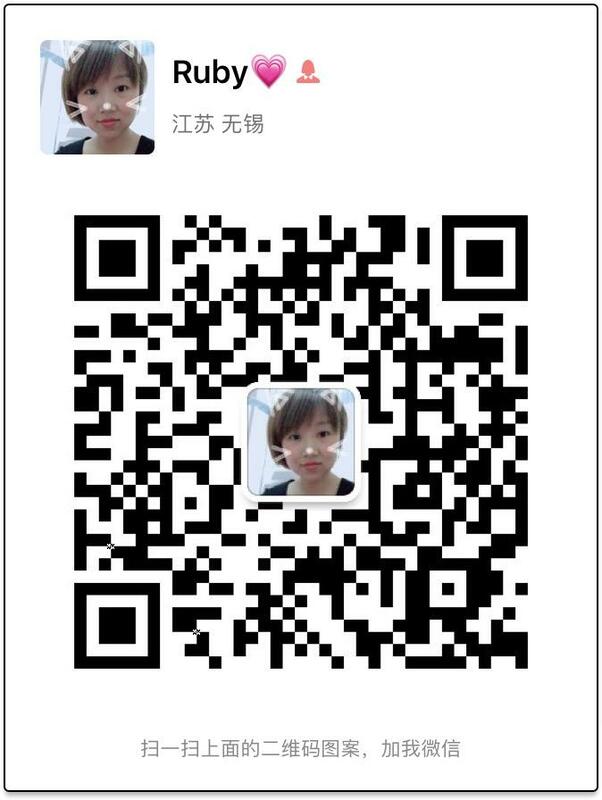 Long storage time. 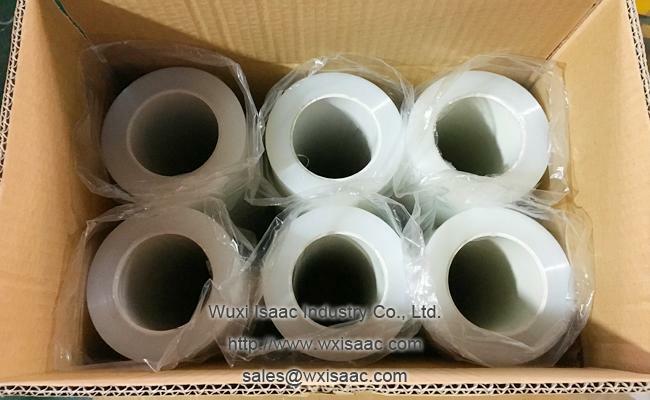 Protective film can be stored for over a year without quality changing. 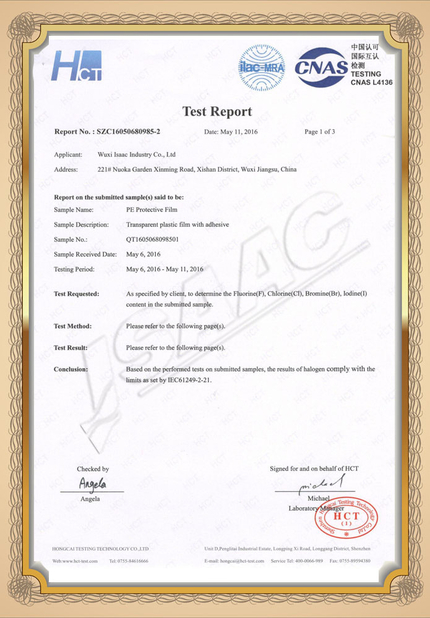 Good mechanical properties, such as tensile strength, elongation and etc.